After a lengthy back-and-forth bidding war between Colt and Remington, one that would eventually involve the Government Accountability Office and the threat of a Congressional hearing, F.N. Herstal has won the contract to update and replace the Army’s aging rifles. In April of 2012, Remington finally broke the chain of Colt contracts with the U.S. Army, placing an $84 million bid for a run of 120,000 M4A1s, with 24,000 carbines to be delivered starting September of this year. 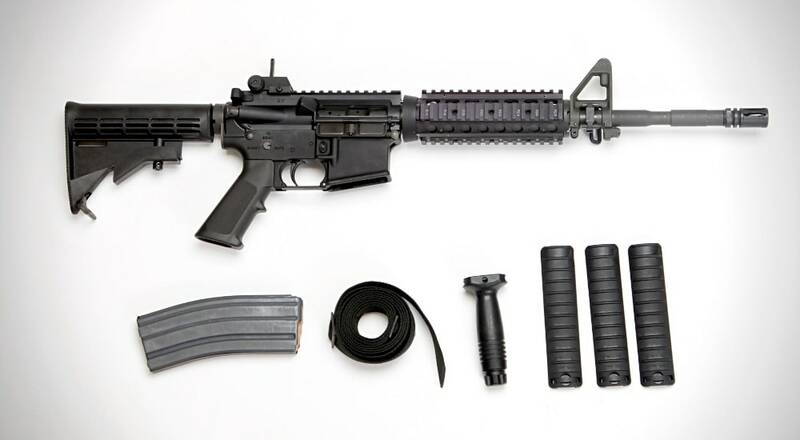 The cost per Remington M4A1 was just $673 per. Their bid severely undercut Colt’s previous contract, which priced the rifles at over $1,200 a piece. FN’s contract with the Army is $77 million for the first 120,000 rifles, which works out to a bottom line of just under $642 per M4A1. These will be manufactured at FNH USA in South Carolina along side the M16A4s and M249s FNH USA currently produces for the U.S. armed forces. After Remington won the first bid, Colt immediately filed a complaint with the GAO stating that the company did not properly calculate the royalties as part of their bid, and the GAO found in Colt’s favor, at least partially. “GAO reviewed the challenges raised by Colt and found that the agency failed to follow the solicitation criteria with regard to the evaluation of the offers’ total evaluated prices and sustained the protest on this basis. Colt’s other challenges were denied,” said Ralph O. White, council for the GAO. While they agreed that they did not correctly figure for the royalties any M4 supplier owes Colt for Army contracts, the GAO rejected the claims that Remington did not have the manufacturing capabilities to supply the military with firearms in this quantity. Following the decision, the GAO told the Army that they had 65 days to solicit new bids from vendors or face Congress if they went ahead and signed the Remington contract. Not willing to face the legislature over a budgetary decision, the Army complied. Although the list of bidders was confidential, it was obviously going to be between Colt, Remington and F.N. Herstal. This is bad news for Colt and Remington — Colt will have to look toward new business avenues and Remington will not be expanding as they had previously planned — but it is good news for FNH and of course, the Army. Not only will they be spending less (although they have $180 million earmarked for rifles; it is an Infinite Delivery, Infinite Quantity (IDIQ) contract for the improved M4s) they’ll be getting new rifles in time to replace their rapidly-declining supply of carbines. Landing a new vendor is just part of the Army’s larger Product Improvement Program (PIP), in fact, it’s phase one, where the Army implements a “field conversion” from M4 to M4A1 carbines. These rifles have heavier barrels that are a little more accurate, especially with heavy use due to their improved thermal properties. They also drop the 3-round burst ratcheting fire control group, which delivers inconsistent trigger pulls depending on whether or not the disconnector is engaged with a stop notch. It also comes with an H2 buffer for a softer- and slower-cycling action. The M4A1 is more consistent, accurate and reliable. Phase two of the Army’s PIP calls for a new railed handguard and any accessories that soldiers need as they are implemented. Technically, the Army is still running the Individual Carbine program as well, which will determine what comes after the M4A1. Colt and Remington will have plenty of future chances to bite at the Army apple.